Here are details of men and women who had connections to the villages of Hintlesham and Chattisham and died in the two world wars, but are not listed on the memorials. Contributions to this page are always very welcome. John was born 7 July 1894 in Eyke, Suffolk. His family at various times lived in Rendlesham, and Sproughton. John's parents were William and Harriet and at one time lived at Street Farm, Chattisham, Suffolk. John served in B Company of the 4th Battalion of the Suffolk Regiment and is commemorated on the Arras Memorial. The French city of Arras is now twinned with Ipswich. In 1917, Arras was at the centre of one of the most hard-fought campaigns of the war. The town gave its name to a series of battles fought between April 9 and May 16, 1917; the final cost to the British and Commonwealth armies was more than 158,000 casualties. Graffiti remains on the walls from 1917, including some from the Suffolk Regiment. In the immediate aftermath of the war; Arras and its agricultural infrastructure were devastated. The people of Ipswich and the rest of Suffolk were at the heart of British efforts to revive farming in the area. Farm machinery, seed for new crops and advice were all freely given to the people of the battered French town. Buried at Hintlesham churchyard but not listed on the memorial. In May 1941, a German plane flew over Elmsett and dropped a bomb which struck a row of 8 cottage in The Street and killed 10 civilians. Among the casualties were Alice Taylor (aged 70, nee Gant , a widow of 20 years), her son William Taylor (aged 40) , his wife Violet May Taylor (aged 39) and their 2 children Michael (aged 2) and his younger brother, Edwin Taylor (aged 9 months). Alice Taylor was the sister of Horace Gant who is commemorated on the Hintlesham War Memorial Hintlesham WW1. Horace was Hintlesham's first casualty of the Somme. Alice had been employed as a housekeeper to Alfred Hiskey in Elmsett who was also killed in the raid (aged 89). The other casualties were Emma Barber (aged 67), Mary Ann Carter (aged 74), Anna Churchyard (aged 96) and Elizabeth Dodd (aged 84). Mervyn Gant was born at Mill Farm in Hintlesham on 11 June 1916 and baptised at St Nicholas Church 2 months later. His parents were John Gant, a shepherd, and Alice (nee Taylor). On the 8th October 1938, at St. Matthew’s Church, Ipswich, Mervyn married Violet Mabel Cracknell, born November 1919, Ipswich. He gave his address as 29, Wiberforce Street, Ipswich, and occupation as General Worker. 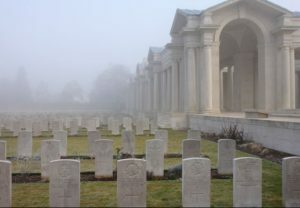 Mervyn served with Cambridgeshire regiment and died in Barton, Lancashire on 3rd January 1942 aged 25. He is commemorated on the Ipswich War Memorial and buried in Ipswich Old Cemetery (C.31.38.). 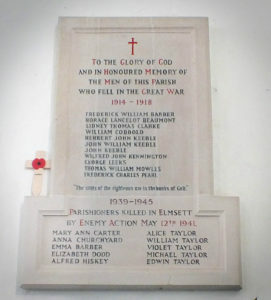 His step brothers, Thomas John (known as Jack) and John Samuel Gant were both killed in the Great War and commemorated on the Hintlesham War Memorial and elsewhere. Ernest was the son of Harry William and Grace (née Beaby) Cole and born in Ipswich in 1905. The family lived in Chattisham and Ernest served in the Royal Navy on board HMS Electra. The ship was sunk in the Battle of the Java Sea with the loss 119 out of a company of 173. Ernest is commemorated on the Chatham Naval Memorial. 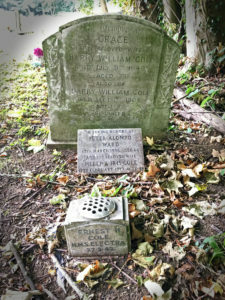 His parents are both buried in the churchyard at St Nicholas in Hintlesham (see photograph) alongside a memorial vase bearing Ernest's name and his ship. 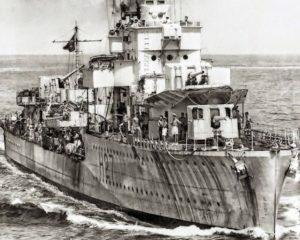 HMS Electra and several other British ships in the area have recently fallen prey to illegal Indonesian salvagers. 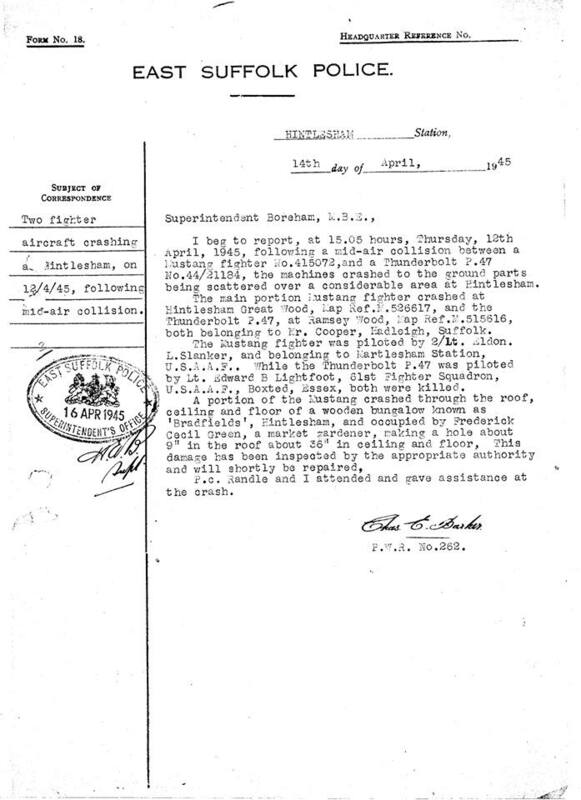 The residents of the quiet Suffolk village of Hintlesham would barely have acknowledged the sound of aircraft overhead on the afternoon of 12 April 1945. Situated only a couple of miles North of the American airfield at Raydon and not too far from the bases at Wattisham and Mendlesham, aircraft were passing overhead constantly. 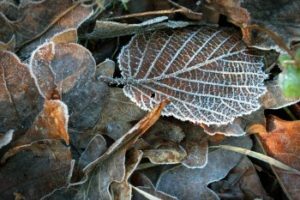 At approximately 1505 however, their attention would have been drawn to the sound of an explosion overhead and the sight of blazing wreckage falling towards the fields and woods to the West of the village. 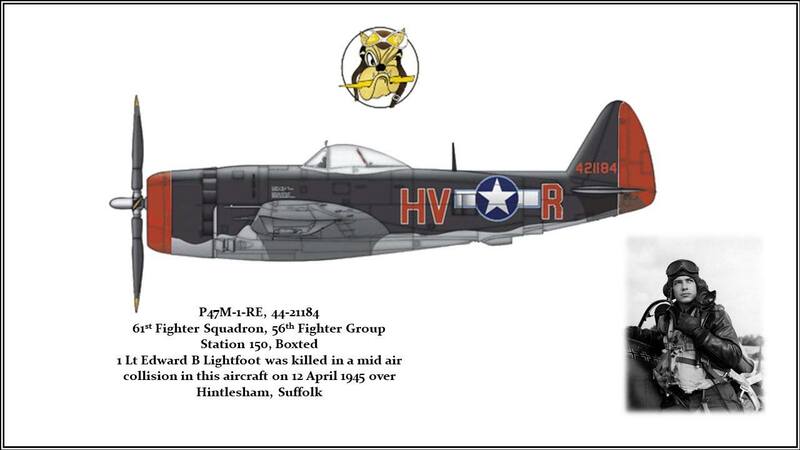 Lt Edward B Lightfoot and Lt Franklin Rader of the 61st Fighter Squadron, 56th Fighter Group based at Boxted in Essex were returning to their home base from a camera gunnery training flight flying their P-47M Thunderbolts in battle formation at 10000ft. 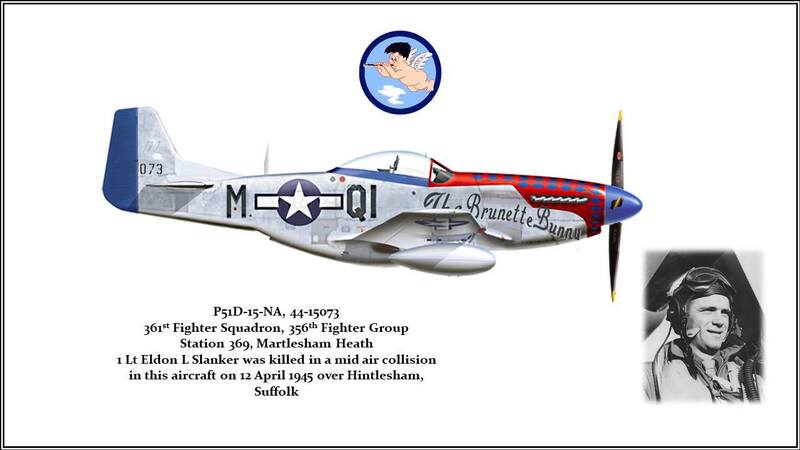 At the same time, a P-51D Mustang of the 361st Fighter Squadron, 356th Fighter Group was airborne from Martlesham Heath also on a camera gunnery training flight piloted by Lt Eldon L Slanker. Lt Slanker spotted the two Thunderbolts and made a simulated attack from 10 O’Clock level. Lt Lightfoot saw the approaching Mustang and made a slight turn into Lt Slanker and after they had passed both pilots executed fast right turns. Lt Slanker and Lt Lightfoot both pressed home their attacks from out of these right turns and collided head on with a large explosion and falling debris. Lt Lightfoot and Lt Slanker were killed instantly and their planes destroyed. 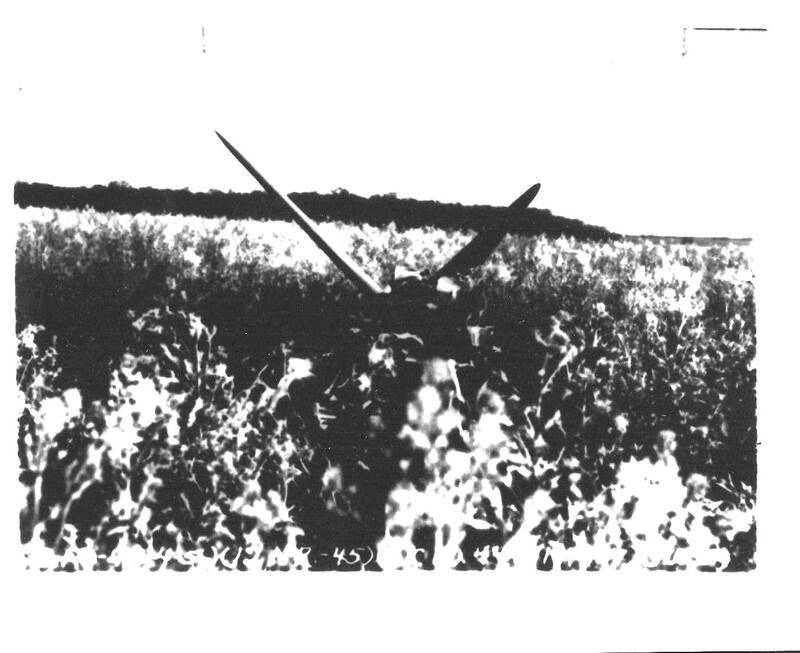 The subsequent investigation into the incident found that the underlying cause was both pilots showed poor judgement in pressing home a simulated head on attack and responsibility was apportioned equally to both pilots. Eldon Leroy Slanker was born on 26 January 1922 in Trotwood, Ohio. The only son of Leroy and Millie Slanker he had three sisters, Miriam, Hazel and Gerry. Eldon grew up on the family farm in Trotwood and attended Madison Township school. After graduating he attended Ohio State University in Columbus where he studied agriculture. Eldon enlisted in the Army Air Corps on 23 November 1943 and underwent his Primary Pilot training as part of Class 44-E at Ocala, FL. He then undertook Basic Pilot training at Bainbridge, GA and Maxwell and Gunter Fields, AL before completing his Advanced Pilot training at Marianna, FL where he graduated and was commissioned on 22 May 1944. Eldon met Sara Elizabeth Adams or ‘Bebe’, in Montgomery AL, during his training and romance blossomed. They became very close and were married on 26 October 1944 at First Methodist Church, Vineland NJ at which time Eldon was based at nearby Millville airfield. They lived on base for most of their short married life however found time to visit family and friends in Washington DC and back home in Ohio before Eldon received his posting overseas in late 1944. At the time of his posting they had been married only two months. 0-832506 2nd Lieutenant Eldon L Slanker was formally assigned to the 361st Fighter Squadron, 356th Fighter Group on 26 January 1945. After a period of orientation and familiarisation with operational procedures he flew his first mission on 19 February 1945, escorting the B-17’s of the 351st and 457th Bomb Groups 1st Air Division to Gelsenkirchen, Germany. Lt Slanker continued to fly regular missions throughout the early months of 1945, primarily escorting the bombers to targets such as Berlin, Munster and Hamburg. On 5th March he was promoted to 1st Lieutenant and on 17 March flew as wingman to Major Donald Strait who was completing his final mission with the 356th. 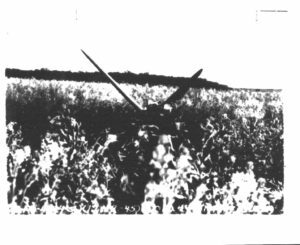 During the mission of 7 April Lt Slanker’s flight engaged an ME 262 jet but were only able to fire off a few shots before it outpaced them. 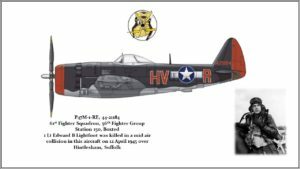 Lt Slanker took off at around 10:09 on 11th April for a relatively routine mission to Krailburg, the 385th mission for the 356th Fighter Group. When he landed back at Martlesham at 15:45 he had completed his 31st and last combat mission and amassed 138.25 combat hours. Edward Burton Lightfoot was born on 11 September 1922 in Baroda, India. The only son of Rev Leroy and Grace Lightfoot, he had three sisters, Ruth Mae, Irene and Ona Belle. Edward spent the first two years of his life living in a rural area 150 miles inland from Bombay and his first language was Marathi (a Sanskrit tongue). The family returned to Kalamazoo, Michigan in 1925 but went back to Bombay in Autumn 1926. Edward initially attended a Scottish Mission school followed by 6 years at the American school in Kodaikanal. Here he learnt to swim, play tennis and studied music, while not at school he played football and spent time playing with the local children in the village and exploring his surroundings. The family remained in India until Spring 1935 at which time they returned to Kalamazoo. 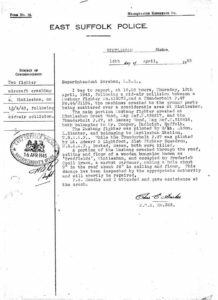 Adjustment to life in the US was difficult but Edward applied himself to his studies and graduated in June 1940 from Marcellus. He was also a keen Boy Scout and achieved the rank of Eagle Scout. Later that year he began studying Civil Engineering at the Technical Institute of Northwestern University. Part way through his studies he started work at the Indiana & Michigan Electric Co. at South Ben, MI followed by a final year of study at Western Michigan College of Education. Edward earned top marks in Maths, became an accomplished clarinetist and also reached the college Tennis finals in 1942 before enlistment ended his studies. 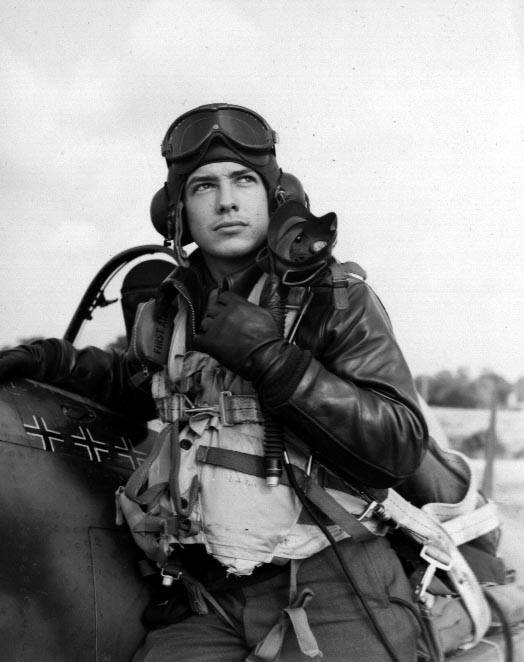 Edward enlisted in the Army Air Corps in Kalamazoo, MI and reported for duty on 30 January 1943 in Detroit. He underwent his training at various locations; Miami Beach, FL, Randolph Field, TX, EL Reno and Enid, OK before finally completing his Advanced Pilot training at Aleo Army Air Field, Victoria, TX where he graduated and was commissioned on 8 February 1944. He was initially posted to Meeks Field, Iceland as part of Iceland Base Command between April and September 1944 before being reassigned to the 61st Fighter Squadron of the already famous 56th Fighter Group, US 8th Air Force based at Boxted, near Colchester. 0-708191 2nd Lieutenant Edward B Lightfoot was formally assigned to the P47 Thunderbolt equipped 61st Fighter Squadron, 56th Fighter Group on 5 October 1944. After a period of orientation and familiarisation with operational procedures he flew his first mission on 30 October 1944, an uneventful mission to Hamburg escorting B-24’s of the 2nd Air Division. 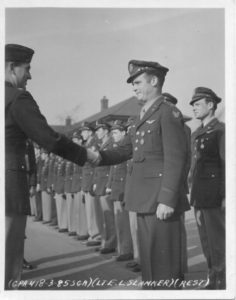 Lt Lightfoot was promoted to 1st Lieutenant on 5 January 1945, and by early April had flown a total of 37 missions, qualifying him for the Air Medal and three Oak Leaf clusters. Lt Lightfoot’s final mission was flown on 10th April 1945 to Rechlin airfield and the Luftwaffe flying boat base at Muritz Lake where he was credited with damaging a flying boat. This post is made in memory of the two young American pilots killed so tragically close to the peace in Europe they had both fought for but also two remarkable women I was fortunate enough to be able to correspond with. Lt Slanker’s widow, Sara (or Bebe as she insisted I call her) and Lt Lightfoot’s sister Ruth both corresponded with me for a number of years before they both sadly passed and both were so willing to share photographs and documents but most importantly their memories with me. If you have information about men who died in WW1 or WW2 who had local connections, please contact me.